9x12, xxxvi + 118 pp. 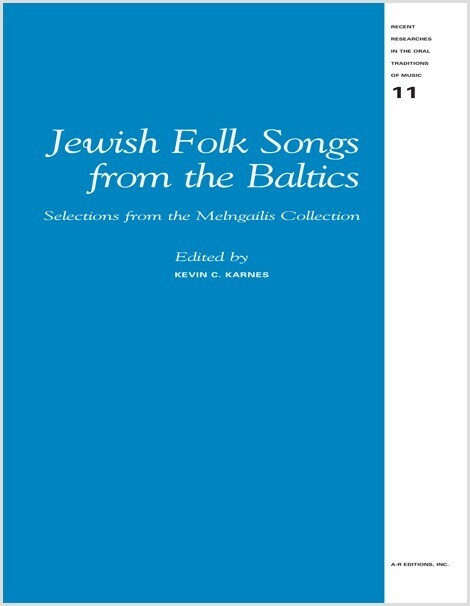 This edition presents sixty-four Jewish folk songs transcribed between 1899 and the 1930s by the Latvian ethnomusicologist Emilis Melngailis (1874–1954). Drawing on manuscript sources and other archival material, it makes available, for the first time in print, a broad selection of Jewish vernacular music performed in the territory of present-day Latvia and Lithuania in the decades preceding World War II. Accompanying essays introduce Melngailis and his collecting project, situating his work within the context of contemporary discourses on Jewish and Latvian folk song, nation, and identity as they coalesced in Riga, St. Petersburg, and German-speaking Mitteleuropa in the early twentieth century. 4. Base Malke, efne mir! 20. Klip klap efne mir!